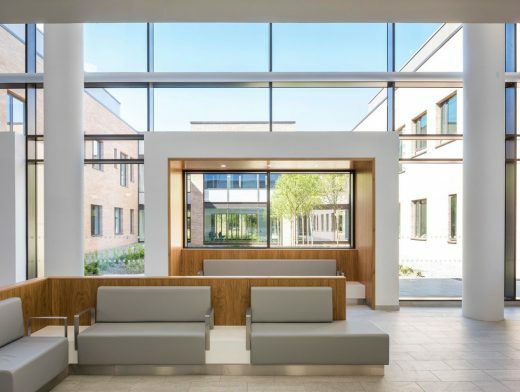 TODD Architects (with Hall Black Douglas) have completed the £75m state-of-the-art Omagh Hospital and Primary Care Complex in County Tyrone, the first of its kind in Northern Ireland. 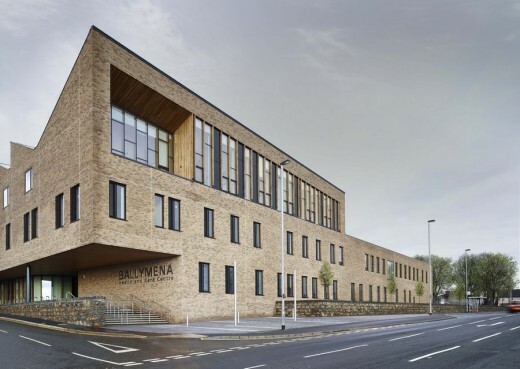 Sitting on a greenfield site on the outskirts of the town, this innovative scheme replaces the previous 118-year old Tyrone County Hospital, delivered under a three year contract by local contractor McLaughlin & Harvey. 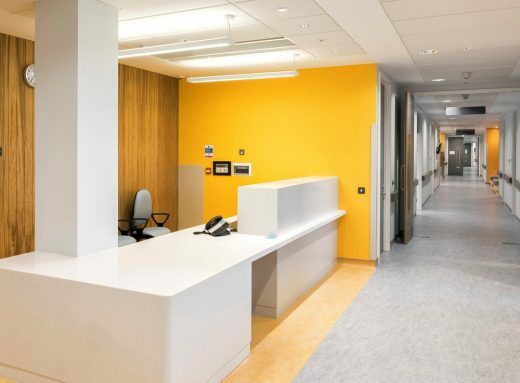 Omagh Hospital and Primary Care Complex introduces a new model of care into the province, bringing together acute and primary services onto a shared campus, including modern GP practice facilities, a day procedure unit and urgent care department, together with a 40-bed ward. 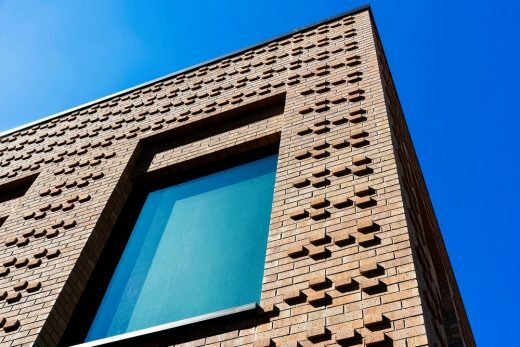 The newbuild complex is composed of a series of carefully articulated brick pavilions arranged around landscaped courtyards. The interiors maximise the benefit of natural light and views over the surrounding countryside. Visual prominence was a key consideration, with the design concept aiming to balance the desire to showcase the new building and engender an appropriate level of civic pride and prominence whilst not being out of scale with context. 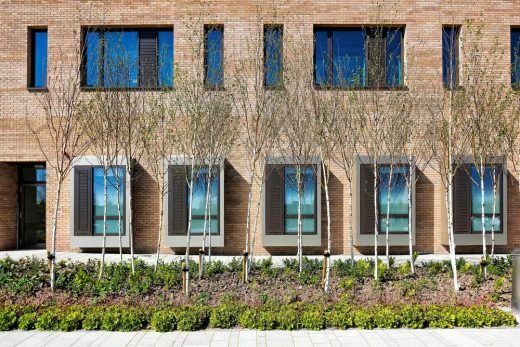 Employing a mix of two and three storey elements, the scheme follows a predominantly linear configuration, along and around a central courtyard and connecting street. The departments are modelled as a series of pavilions, each consciously articulated to define its use and aid legibility within the overall building. This approach visually reduces the mass and scale assists in the overall articulation and in turn enables a range of views ‘to’, ‘from’ and ‘between’ the main blocks to the internal landscaped courtyards and beyond to the external surroundings, enhancing the user and visitor experience. 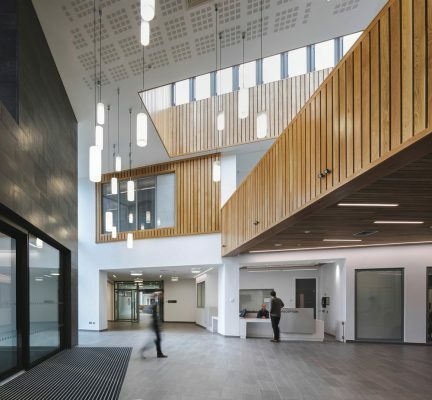 “This newbuild Hospital and Primary Care Complex is one of the first of its kind in Northern Ireland, and was a very interesting project for us in that it represents a refreshed approach to the traditional delivery of healthcare services. 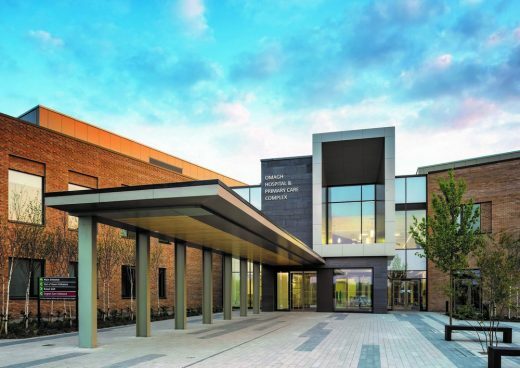 As well as offering advanced clinical facilities and enhanced care, this new complex strikes a chord of difference in that it is distinctively designed to create a connection between the patient and the outside. Departments have been designed to break down the barriers between traditional clinical and patient areas by introducing break out areas that encourage a sense of community to create a relaxed healing environment. The interiors have a range of spaces that maximise the benefit of natural light and views into courtyards and over the surrounding rivers and mountains. Through this considered design, a therapeutic environment has been created for all users, both inside and outside the building.